You’re probably familiar with some version of the expression “on your six,” but your daughter may not be. And though the term itself is not so important, the personal safety concept it points to is. Just in case you’re not up on your Air Force lingo either, the concept is simple: Fighter pilots use an imaginary clock face to identify the positions of enemy planes. Twelve o’clock is straight ahead, three o’clock is to your right, nine is to your left and, you guessed it, “Bogey on your six” means there’s someone directly behind you. 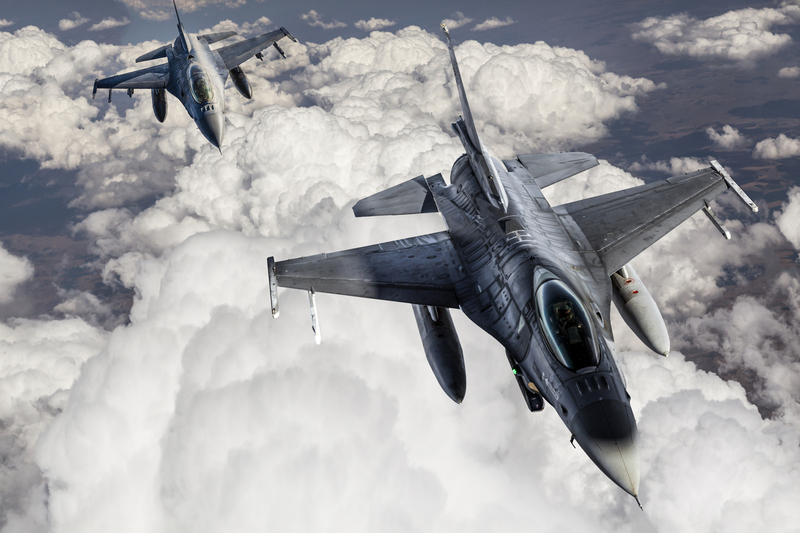 When it comes to your daughter’s safety, it’s unlikely she’ll have the luxury of another fighter pilot alerting her to the presence of “bogeys.” Luckily, she won’t need one if she simply follows the first rule of personal safety: be intentionally aware. Putting this into practice starts with building the habit of looking back. I know it sounds simple, but whether you’re Tom Cruise flying an aerial combat mission in Top Gun or a teenage girl walking down the street alone at night, awareness of what’s happening around you — especially behind you — is a critical factor in staying safe. Predators are looking for victims — young women who appear weak, unprepared, or distracted. The simple act of intentionally looking behind her shows any aggressor that your daughter is not unmindful of her surroundings and therefore less vulnerable to attack. Surprise attacks are by far the most difficult to defend against. By getting a frequent reading on what’s going on around her, she’ll never have to worry about being blindsided by a sneak attack (one of the most common approaches used by predators). If she feels threatened, one of the simplest and most effective tactics in self-defense is distance control. Tell her to increase the space between her and her aggressor by picking up her pace or crossing the street. If your daughter carries a self-defense devise — or even has a hard pointy object like a key or a pen — now is a good time for her to have it in hand and ready to go. 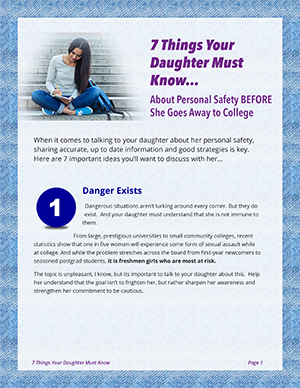 Staying safe is entirely within your daughter’s capabilities, and knowing what’s going on behind her is the first step. So, the next time she’s gearing up — whether it’s to go out on the town or pilot an F-35 — remind her to always check her six! This entry was posted in Safe Living on January 23, 2017 by Brad Michaels.